Laid down, 18 October 1942, at Norfolk Navy Yard, Portsmouth, VA.
Decommissioned, 7 June 1946, in the Atlantic Reserve Fleet Green Cove Springs,, FL. Decommissioned, 3 October 1969, at Orange, TX. 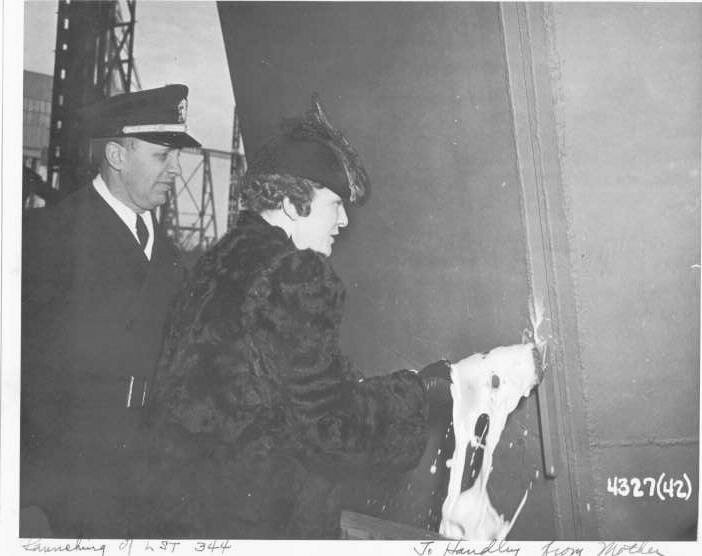 51k LST-344 launching, 15 December 1942, Mrs. Bonnie Ward, Wife of H.H. Ward, Master Mechanist, Inside Machine Shop Master, christens the ship, at Norfolk Navy Yard, Portsmouth, VA., Lt. R. I. Coleman, Aide to the Commandant is also on the platform. 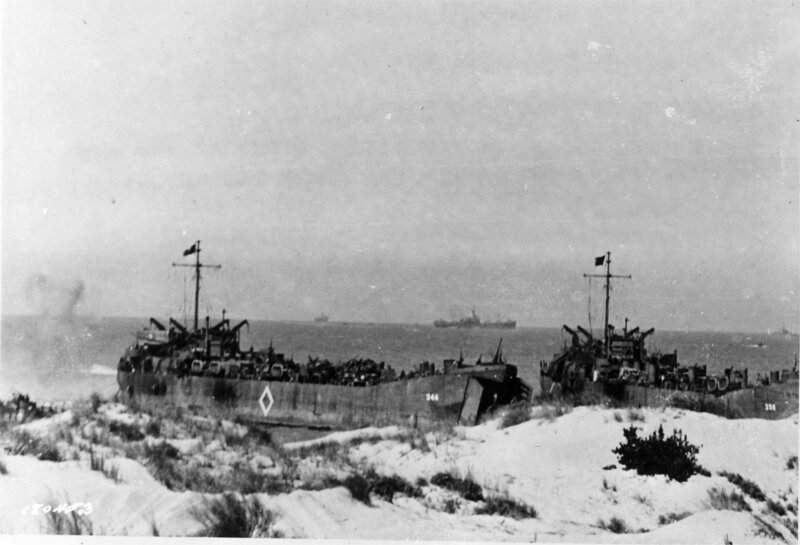 US Navy photo Handley Ward, Jr.
255k USS LST-344 and USS LST-338 beached at Red Beach Gela Sicily, 10 July 1943. 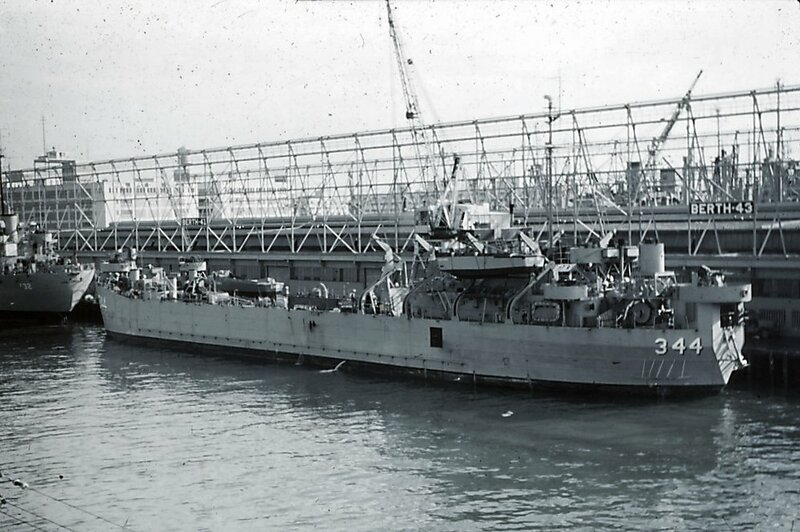 USS LST-338 is unloading tanks across a pontoon causeway. US Army Signal Corps photo. 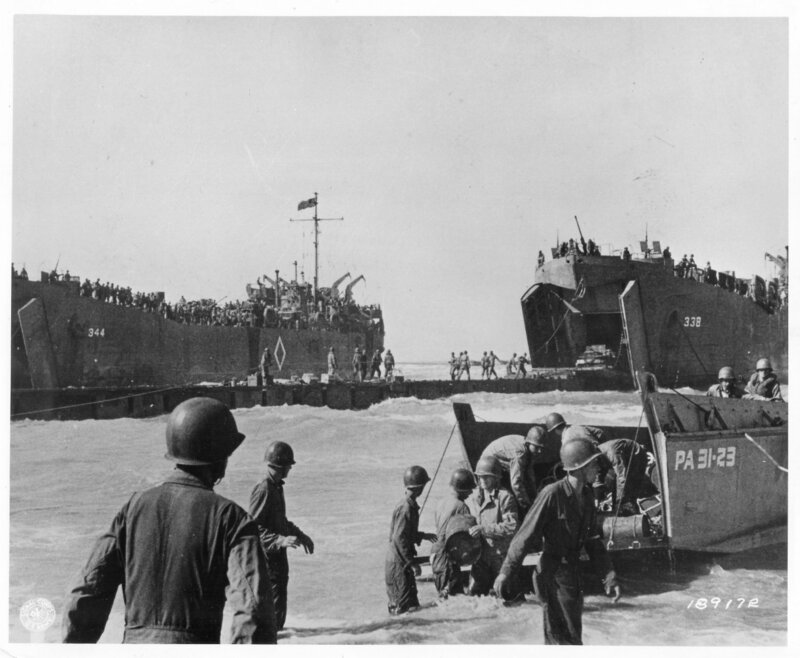 Raymond Cvetovich, Ph.D.
913k USS LST-344, (left) and USS LST-338 (right) unloading troops and supplies on the Gela invasion beaches in Sicily on "D-Day", 10 July 1943. Broached LCVP at right is from USS Barnett (APA-5). 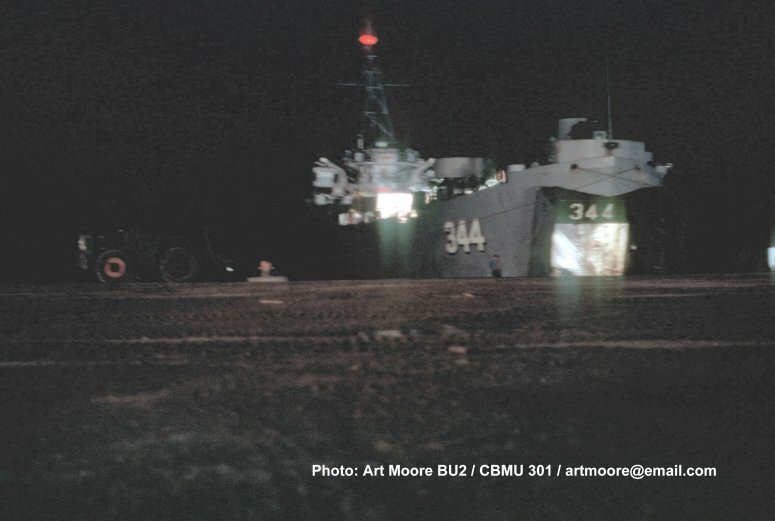 Next LCVP to the left is from USS Monrovia (APA-31). Photographed by Paris. 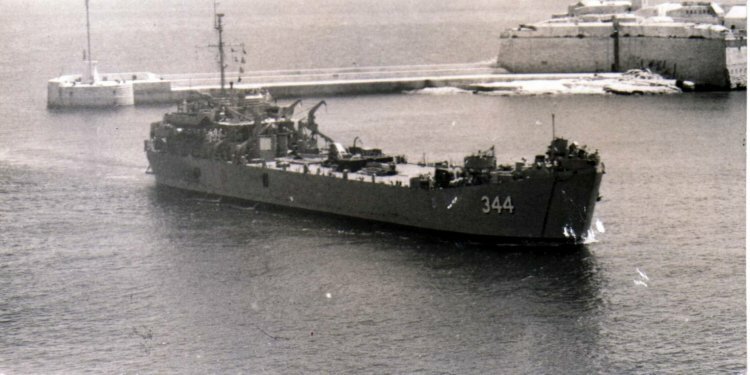 1156k USS LST-344 at left, along with numerous LCVPs from transports anchored offshore, landing troops and equipment at Gela, Sicily, 10 June 1943. 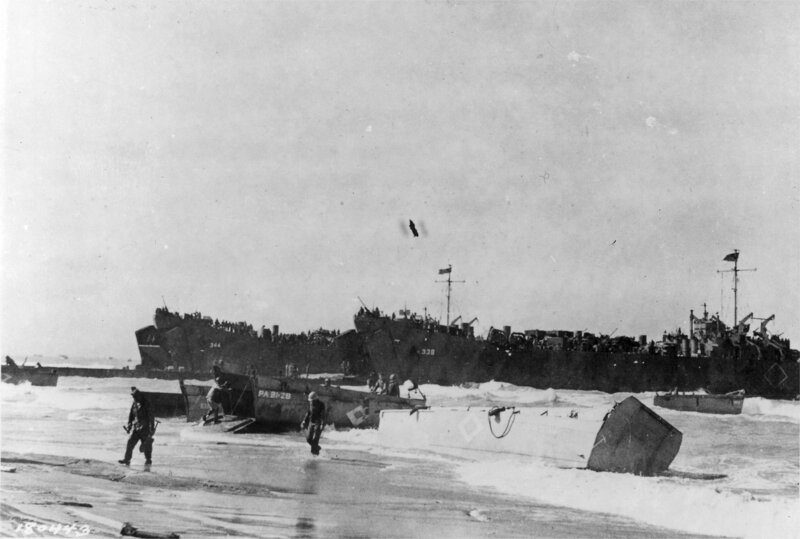 USS LST-312, at right, is approaching the beach with her ramp still in the up position. 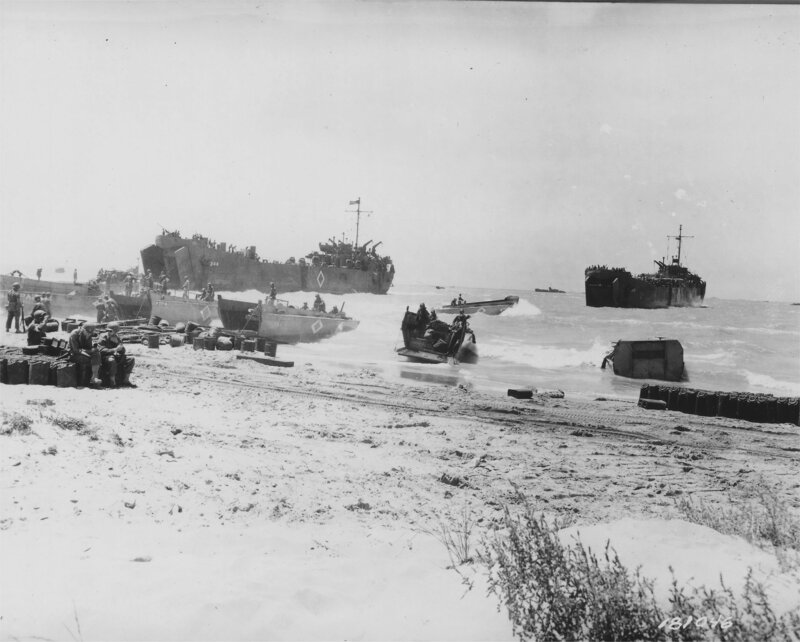 947k USS LST-344 and USS LST-338 beached at the Gela beachhead in Sicily, 10 July 1943, while unloading men and materials. 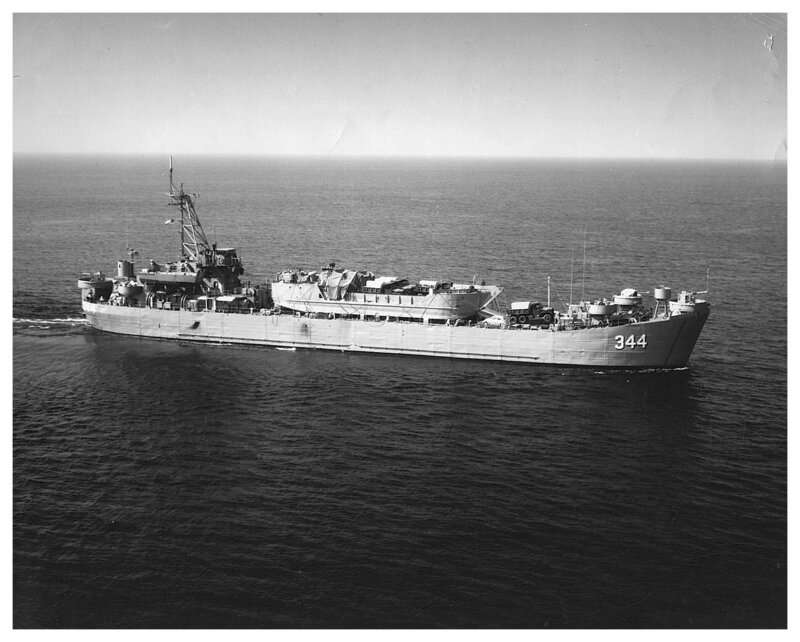 65k USS LST-344 underway, date and location unknown, original World War II configuration. 520k USS LST-344 change of command at Norfolk, VA., 17 July 1952. LT Warden S. Lee, USNR. relieved LT. John W. Wright, USNR.